There are great differences between canine DNA testing companies, primarily in the variety of tests they provide, but also in the scope of those tests. Our comparison of Embark and DDC Veterinary will show you just how different two companies can be while providing the same kind of service. Things like the number of breeds checked, the quantum of genetic diseases and traits tested for, the method of determining parentage, and many other can differ greatly, thus emphasizing the importance of clearly outlining why you want to order this type of test in the first place. Once you do that, our Embark VS DDC Veterinary comparison will do the rest. 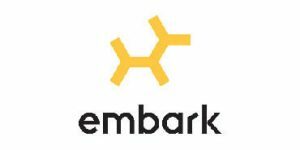 Embark is a dog DNA testing service dedicated to unlocking the secrets of canine DNA. It works closely with numerous breeders and vets to provide the best screening panel for your animal friends. DDC Veterinary is the division of DDC, the largest and most modernized DNA testing company in the world. It brings the same top-quality service and user support, only dedicated to animal testing. super satisfied with the service! Now we know that my little cupcake part Golden retriever part German Shepherd. Embark is the best! They showed me grandparents of my little guy and told me he's in risk to get some nasty condition, so we started vet treatments right away. I have tested both of my German Shepherds using this site. Quick and speedy results! For testing our breeding dogs, DDC has been our go to. Amazing service and great staff members! I loved how quickly my samples were processed and that I could receive emails! Fantastic! Ddc just has it all! We are husky breeders and always get a ddc pedigree certificate for every new litter.